With hundreds of homes sold, and almost $1,000,000 in total commission savings for our clients, it is easy to see why Innovative is the right choice! $2,995 Listing Flat Fee. Smarter Realty! INNOVATIVE Flat Fee REALTY® is a full service real estate company offering superior representation and guidance for a $2,995 listing flat fee on every home, regardless of the price. It's that simple! We guide homeowners through the entire home selling process, including the initial in-home consultation, market analysis, staging advice, professional photos, showings, negotiations, contracts, inspections, appraisals, and closing. You will work directly with the INNOVATIVE broker and owner, Brandon Carrington, so you have professional one-on-one guidance throughout the entire process. You will save thousands in commissions! In 2018, our clients averaged over $10,000 in commission savings when selling their home with INNOVATIVE. Our technology allows us to lower the cost of doing business, and in return we pass along the savings to our clients. When we say it is full service, we mean it! We do not cut corners and we only provide the highest level of service. Check out some of our reviews to see what others are saying about INNOVATIVE. Feel confident that you are being represented by the best! We have performed hundreds of transactions, and have saved homeowners hundreds of thousands of dollars in unnecessary Realtor fees. Address (optional) - Address is needed to receive the expected commission savings and a list price suggestion for your home. Neighborhood information, city and any relevant property notes. Request a free Valuation report, and a comprehensive market analysis on your home. Sellers will save thousands in Realtor commissions with our low flat fee, and still receive superior, full service, real estate guidance and advice throughout the entire transaction. There are no hidden fees or obligations. We offer a simple $2,995 listing fee for any priced home to sellers, and we provide a rebate at closing when purchasing your next home. Listing entered in MLS with Comparative Market Analysis, and pricing suggestions. Professional photos of the entire home. Secure KeyBox with electronic service for buyer's agents to schedule showings. Pre-Inspection Readiness Report: complete walk through of house to prepare for licensed inspector's report. Property listed on 100's of major search sites including Zillow, Trulia, Homes.com and Realtor.com. Social and digital media marketing campaigns to promote the home. All communication with buyer’s agent, title company, lender, appraiser, surveyor, 3rd party vendors. Proactive updates on market conditions, sold comps, and newly listed houses. One-on-one guidance through offer, negotiation and contract signing process. You will work directly with the broker throughout the entire transaction from start to finish. One-on-one guidance through all steps that come up after the home is under contract. Preparation for inspection, appraisal, and title work. Proactive updates on buyer's financing process. Complete preparation for the closing day and signing process, and we will attend closing if needed. Overcoming any issues that come up along the way. We manage all details of the transaction from the time of listing until the closing. This is a full service real estate experience! We will manage EVERYTHING and still save you thousands! A full service real estate experience with 100% commitment to the homeowner's best interests. We provide a single point of contact for all details in the transaction, and we do not pass you off to a different person once you sign your listing agreement. Over 35 years of combined real estate experience, and a complete understanding of the North Texas, Houston and East Texas markets. We leverage technology and automation to simplify the home selling process. Clients will receive thousands of dollars in savings. Homeowners receive flat fee pricing that doesn't fluctuate based on the price of the home. There is absolutely no reason for a homeowner selling a $600,000 home to pay double the fees of someone selling a $300,000 home. Our platform gives clients flexibility in pricing and decision making since they are not committed to a large 6% commission. We provide a rebate on your new home purchase. With our full circle platform, Innovative continues to put money in your pocket. With close to one hundred 5-Star Reviews, it is easy to see how Innovative Flat Fee Realty is the right choice! I cannot tell you how fortunate I feel by finding this company! Brandon worked hard to make the selling of my home stress free. He was friendly, professional, more than efficient & very knowledgeable about the whole process. We were never treated like "just another number". Brandon was quick to answer any & all questions we had. I feel like he was working towards our specific interest & not just trying to make a quick profit. He ended up getting us over asking price and it took him less than a month, more than I ever expected. Thank you, Brandon, for doing an outstanding job for my family. I would 100% recommend this company to anyone who wants A+ service! "Brandon is simply one of the best. He is one of those rare individuals who takes the time to listen and understand his clients issues before customizing a solution that solves their problems versus just selling what is available. Call us at 214-578-5518 to learn How you can get up to 2% back on the purchase of your next Home. Brandon founded INNOVATIVE Flat Fee REALTY® with a vision of challenging the current real estate representation model, and providing a client focused platform that is different from anything seen before. Brandon believes that homeowners should have the ability to pay lower fees without sacrificing customer service, or professional real estate guidance. He has invested heavily in technology to build a modern real estate platform that allows clients to save thousands in transaction costs, while still receiving one-on-one guidance from one of the most qualified real estate brokers in the business. 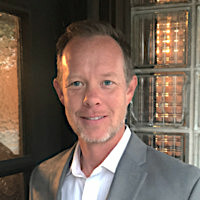 Brandon's real estate experience spans over 16 years of serving North Texas clients, and his approach saves homeowners thousands in transaction fees. He also brings years of experience in commercial real estate, real estate technology, digital media, and marketing technology. Brandon is the main point of contact for all transactions in the DFW Metroplex and North Texas region. If you are buying or selling a home in north Texas then Brandon will be your main point of contact through the entire transaction. Kent Cooper is the Director of Sales in Houston. Kent has over 18 years of experience in residential real estate, and is an expert in Houston and surrounding markets. Contact Kent at 713-634-8396 if you are interested in buying or selling a home in the Houston area. Tabor Campbell is a dedicated buyer and seller representative focusing on the Tyler and East Texas markets. Contact Tabor at 903-316-6779 if you are interested in buying or selling a home in the Tyler area. Mike DeLario is a premier buyer’s agent focusing on Lake Highlands, White Rock Lake, and surrounding areas. Contact us to learn more about Selling your home with Innovative Flat fee REALTY.